Patagonia is said to be the last true wilderness on earth—with it’s hundreds of pristine peaks, thousands of miles of trails, innumerable glaciers, and Caribbean blue alpine lakes & glacial lagoons around every corder—it’s easily the most adventurous & awe-inspiring place on earth. So how do you get married there? How does this crazy idea even work? 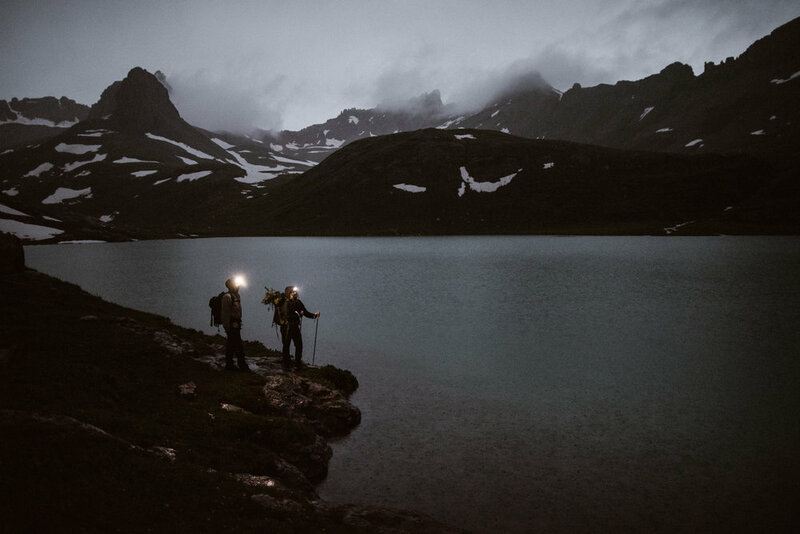 Well, we know that planning a wedding—especially a unique destination elopement that hasn’t been done before, can feel a little bit like trying to hike in the dark without a headlamp (it’s confusing, overwhelming, and easy to get off track)… which is why, as full-service elopement photographers, we do so much more than show up for your day and take some photos. We start working with you now, while you are still in the dreaming & planning stage, so that we can help you find the absolute best locations, help you with the logistics of getting to Patagonia, getting married there, how to hike somewhere amazing to say your vows (if you'd like to! ), and even putting together a game plan for the timing of your day so you get the best views. We want you to have the most incredible, unforgettable day of your lives, and the best images possible—and being in the most epic spot, at the right time of day, and feeling amazing and having a great time is all a part of that. I think big weddings are dumb, and that elopements are the best way to get married. Your wedding day shouldn’t be about everyone else’s opinions, expectations, and drama—it should be about YOU TWO… and elopements bring the focus back to what really matters: the two of you committing yourselves to each other. I'm a Coloradoan with mountains in my soul—addicted to travel and adventure in new places – finding secret hikes and remote corners of secluded beaches. My partner is from Scotland and we have traveled to a combined total of over 75 countries— I prefer tent-camping to hotels, public busses and walking to taxis, and sketchy street food to 5-star restaurants. My other true love is my mini goldendoodle named "Fionn." He looks like a real life teddy bear but is actually a badass who climbs mountains with me. I believe in loving & living fearlessly and have climbed 14,000 ft mountains, snowshoed up glaciers, waded neck-deep in freezing rivers, and flown to Iceland in the dead of winter to photograph weddings. I’m Spanish-Speaking, scuba certified, and wilderness CPR certified—but out of all the adventures I’ve had, getting to experience two people commit the rest of their lives to each other is the most exciting and beautiful thing in the world. I'm so excited to get to know you and plan an awesome adventure together. I love being involved in the entire process helping you two design your unique intimate wedding day. From giving you our best off-the-beaten path, secret location ideas, to connecting you with other amazing vendors that will make your entire day an amazing experience—I want you to have the most unforgettable day possible—which in turn, makes your photos turn out absolutely amazing. Most of the couples who contact me have no idea where they want to get married—and I love sharing all of our knowledge & expertise and giving our as much help & guidance as much as you need. Almost all of the work you've seen of mine, are in locations that we suggested to couples based on our extensive travel experience, and I helped create their entire day, as well as photograph it. You can think of me as just shy of a full-blown elopement planner... or just a SUPER involved photographer. The point is, you deserve the best experience, and that's what matters most to me. Fun fact: I'm also engaged and am planning our own elopement in South America this year, and I'd love to help you make yours amazing too! It's the best place on earth! I'll tell the whole story of your adventurous elopement of going on an epic day hike, or we can spend the whole day together exploring multiple spots, by car, ferry, or helicopter (or all 3!). This is enough time to capture getting ready images, your adventure to your wedding location, multiple portrait spots, and a celebration together to wrap up your day. You'll always receive the full original resolution, edited digital image files with unlimited downloads, sharing, & personal printing rights. They'll also be in an online gallery that's available world-wide to share with all of your family & friends. I've got the epic location ideas, Spanish skills, vendor hookups, cheap flight deals, and all the tools you need to create that incredible adventure that you two deserve. You get unlimited consultations for location suggestions, vendor recommendations, personalized photo timelines, planning guide, adventure ideas, and more! No matter what spot you end up picking in Patagonia, Chile, Argentina, Peru, or Bolivia (December 2018-Jan 2019), I will arrange & cover all of my own travel expenses. There's no extra hidden fees anywhere here. I'll tell the whole story of your adventurous elopement of going on an an epic multi-day, overnight backpacking trip, where we hike in, camp at your location together, and hike out together (up to 12 miles each way), or we can spend a full two days together exploring multiple spots, by car, ferry, or helicopter (or all 3!). This gives you the ultimate chance to see all the diverse scenery of Patagonia from mountains, alpine lakes, and glaciers, and get your incredible experience together documented. I'll tell the whole story of your adventurous elopement of going on an a overnight backpacking trip, where we hike in, camp at your location together, and hike out together (up to 8 miles each way), or we can spend a day and a half together exploring multiple spots, by car, ferry, or helicopter (or all 3!). This gives you the ultimate chance to see all the diverse scenery of Patagonia from mountains, alpine lakes, and glaciers, and get your incredible experience together documented. I'll tell the story of your adventurous elopement of going on an medium-length day hike (up to 6 miles round trip), or we can just spend the day together exploring multiple spots, by car, ferry, or helicopter (or all 3!). This is enough time to capture getting ready images, your adventure to your wedding location, gorgeous portraits, and a celebration together to wrap up your day. So what now? Do you want to create the most unforgettable Patagonia elopement?